The only state lawmaker to oppose issuing driver's licenses to tens of thousands of illegal aliens in Hawaii, Hawaii Kai Republican Senator Sam Slom, joined HIRA in slamming his seven Republican colleagues in the State House on TV last night; telling Hawaii News Now that the actions of these reckless politicians made Hawaii less safe and much more inconvenient for legal Hawaii residents by providing special rights for those whom liberals call "undocumented immigrants" . 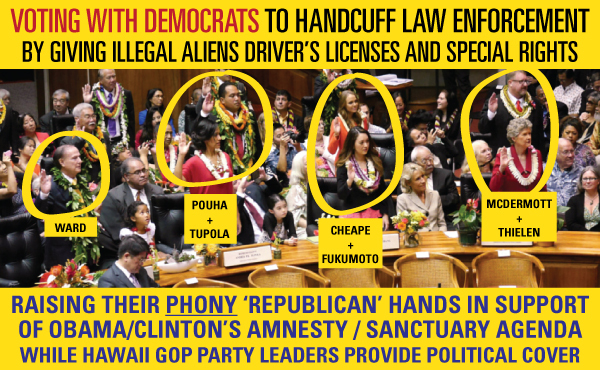 . . but Republicans know are really " undocumented Democrats" in the new 'sanctuary state' of Hawaii. 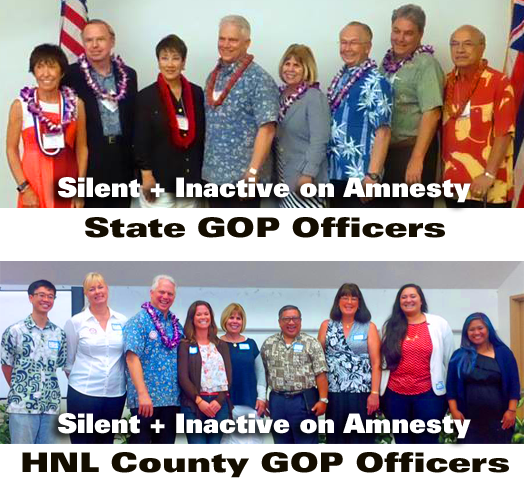 WHY is Sen. Slom so upset at his spineless colleagues for holding hands with the Obama and Clinton-aligned progressives in the Democrat Party and at the " Hawaii Coalition for Immigration Reform "? Probably because local residents are now burdened with having to stand in long DMV lines and bring multiple types of identification in order to get a driver's license -- while illegal aliens can just show up with a copy of a utility bill. That seems awfully unfair to Hawaii citizens. Probably because 40,000 illegal aliens (who shouldn't be in the 50th State at all) are crowding out the rental housing market and driving up prices while driving down availability. Aren't we supposed to be dealing with the affordable housing shortage crisis? This doesn't help at all. Probably because thousands more cars on the road driven by illegal aliens does not make for a speedy commute. Aren't we spending billions on transportation projects because our roads are congested? This won't help. ARE NOW PROHIBITED from using the special "illegal alien" driver's license to question a driver's citizenship or immigration status. 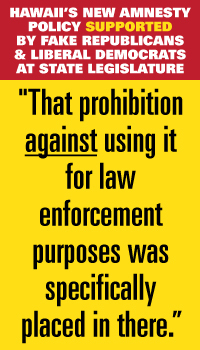 In fact, according to liberal immigration attorney Maile Hirota: "That prohibition against using it for law enforcement purposes was specifically placed in there" to keep police officers and other government officials from doing their job to help deport tens of thousands of illegals in Hawaii. By putting out the welcome mat for lawbreakers and creating special rights for illegal aliens, the new law opens up the very likelihood of abuse. Slom's dire warning makes it clear that what Fukumoto, Ward, McDermott, Pouha, Cheape, Tupola and Thielen have done ( in addition to what the party of Rohlfing, Saiki, Marumoto and Hellreich have encouraged through silence and inaction) turns a blind eye to the multiple adverse impacts of illegal immigration on you and your family -- the law-abiding citizens of Hawaii. It's clearer than ever that Obama-worshipping GOP leaders in Hawaii are perfectly willing to sell out legal residents. The destructive, establishment, liberal agenda shared by both the current Hawaii GOP and the majority Democrat Party must be stopped. HIRA urges all Republicans to heed Slom's warnings. Bills like this must be repealed. Further, HIRA encourages conservatives to donate money directly to Republican candidates who are worthy of election and nobody else. DO NOT DONATE DIRECTLY TO THE HAWAII REPUBLICAN PARTY. 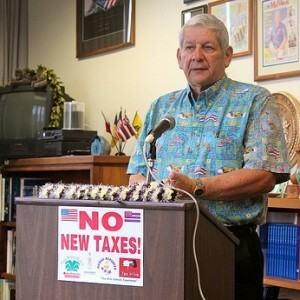 You can see for yourself that liberal leaders of the Hawaii GOP are using party funds and party resources while supporting Obama's harmful, progressive agenda. And it explains WHY party leaders have spent untold thousands of donor dollars trying to silence HIRA through bogus legal threats by Democrat union lawyers. Don't believe it ??? 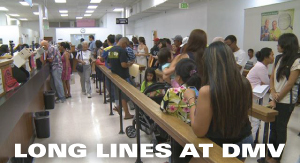 Just stay tuned for HIRA's 2015 Legislative Scorecard which shows how far left that Hawaii's elected Republican leaders and elected GOP officials have gone. And ask yourself what the Hawaii Republican Party has done to resist the Obama / Ige / Caldwell agenda. Of course, the answer is nothing at all. With your help, we can fix Hawaii. Step One: Fix the Hawaii GOP so we have a party which actually fights for Republican beliefs and policies, rather than helping Democrats to advance their agenda. Shutting off funding to our spineless, liberal Hawaii GOP and to phony Republican politicians who support Obama's agenda is the only way forward to a TRUE two-party system in Hawaii. Yes, GREAT things are happening nationally with the GOP. But here in Hawaii, we are getting sucker punched by local RINO's and closet Democrats every single day. Issuing driver's licenses to illegal aliens wasn't the ONLY terrible new law passed last year which will affect you and your family for years to come. More than a dozen really horrible bills got HIRA's attention in 2015. You deserve to know what these bills do and who voted for or against them . . . even though the Hawaii GOP refuses to alert its members about Democrats trying to pass harmful legislations in the dead of night with the help of RINO legislators. 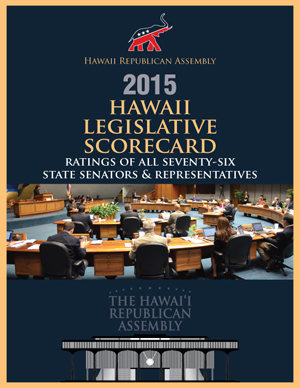 So, stay tuned for the upcoming release of HIRAs annual legislative scorecard. Yes, elections have consequences. And you'll be shocked to learn about the crazy garbage that politicians from both parties in Hawaii voted for. P.S. Please contribute $10, $25, or $100 today to help HIRA hold liberals accountable and put conservatives in charge of our agenda.